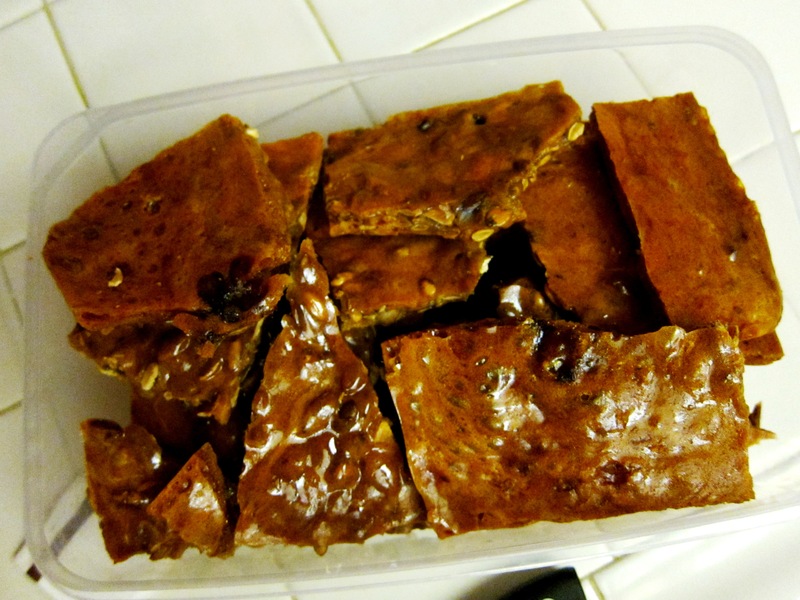 Alright, next in the care package was pumpkin brittle. So I absolutely love peanut brittle. But, Rob is deathly allergic to peanuts so I thought it may not be appropriate to put it into his care package. 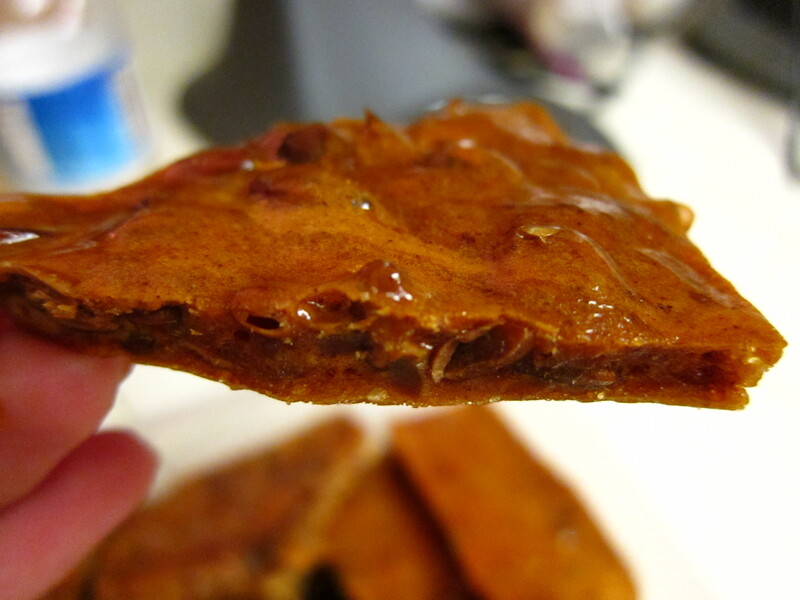 Next idea: pumpkin brittle! Same thing but you replace peanuts with pumpkin seeds! Look how yummy! You then need to take a tiny little mixing bowl and stir the vanilla and baking soda. Set it aside. Take another tiny little mixing bowl and stir the cinnamon and salt. It’s important to keep these on hand because once your sugar starts to burn you will have very little time to mix things in before the brittle hardens. 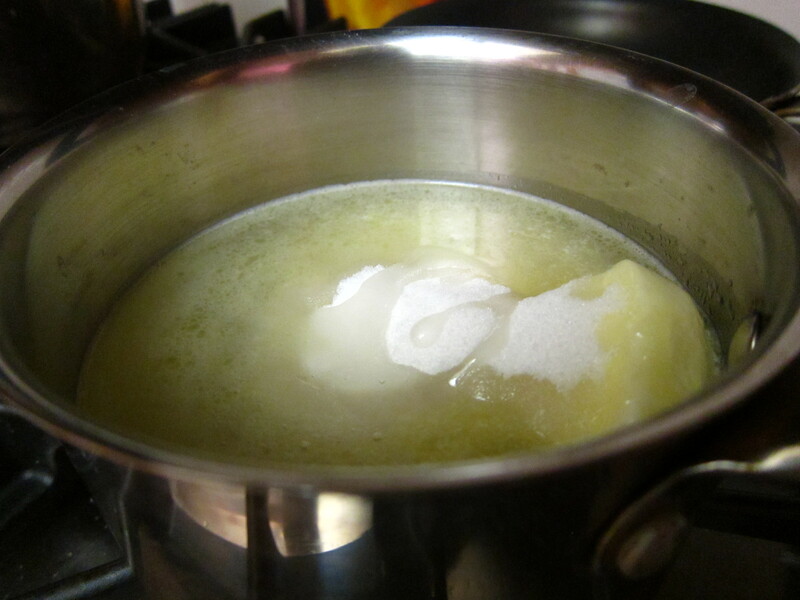 Put the sugar, corn syrup, butter and ¼ c of water in a saucepan and mix with a wooden spoon [if you use metal it will be a nightmare to clean later] on medium heat till the sugar and butter are completely dissolved. Once it’s dissolved crank up the heat to high and bring the mixture to a boil. Caramelizing sugar can be a tricky task if your impatient. You need to watch it very carefully. Once it starts to boil, only stir it occasionally and wait till it starts to turn a little amber. 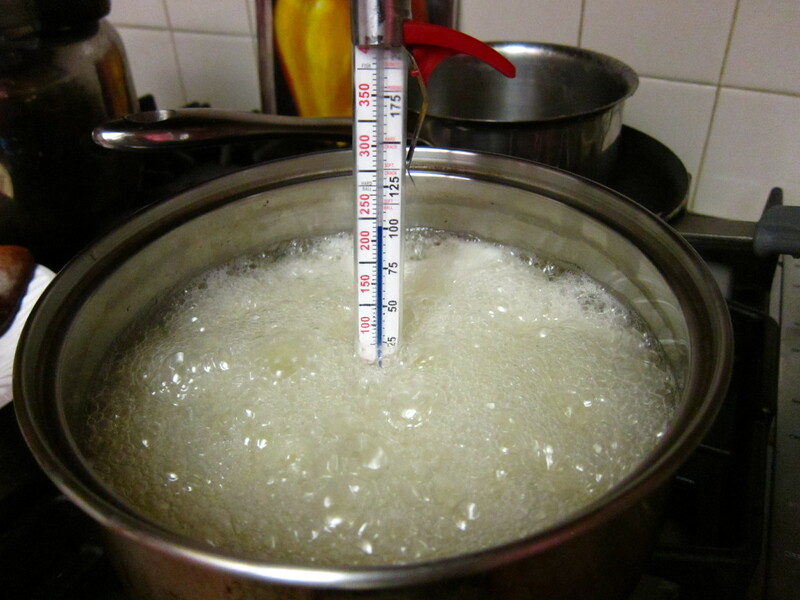 I like to use my candy thermometer [they go up to 400 degrees]. Once the mixture reaches 335-340 take it off the burner and mix in the vanilla and cinnamon mixtures quickly. The sugar will start bubbling and hardening so make sure to work swiftly! 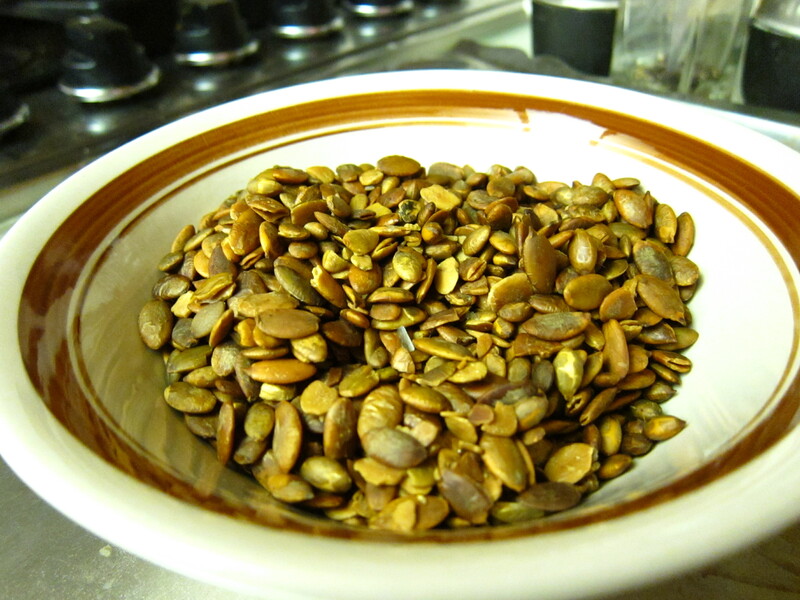 Then pour in your pumpkin seeds, stir and pour into your prepared pan. 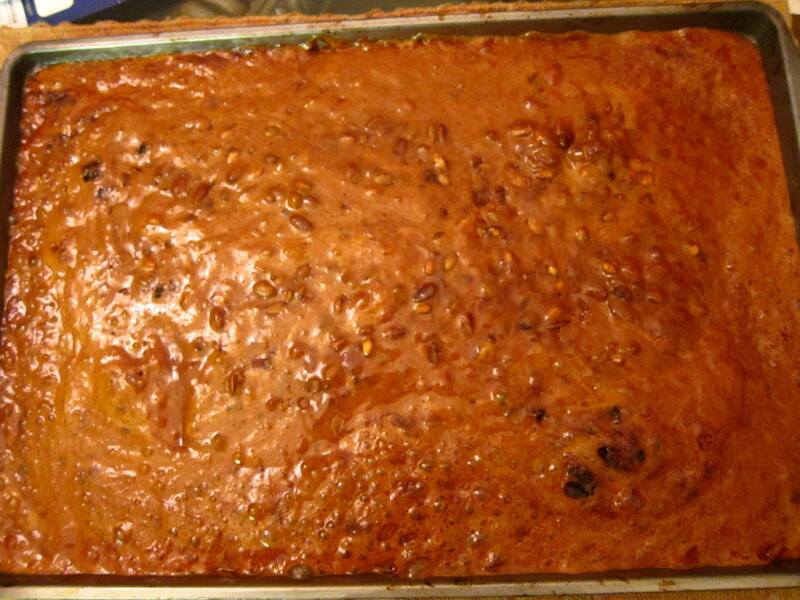 Make sure to even it out so it covers the entire pan and then let it sit and cool for at least 40 minutes. One it’s completely cooled you can twist your cookie sheet to pop it out and start breaking it into pieces. Store it in an airtight container in room temperature and the delicious treat will last you up to 2 weeks! 1. Lightly butter a 10- by 15-in. baking pan. In a small bowl, stir baking soda in vanilla to dissolve; set aside. In another bowl, stir together cinnamon and salt (to help the cinnamon distribute evenly when it’s stirred into the sugar mixture). 2. In a 4- to 5-qt. saucepan over medium-low heat, use a heatproof spatula or wooden spoon to stir together sugar, 1/2 cup water, corn syrup, and 1/4 cup butter until butter is melted and sugar is completely dissolved (Increase heat to medium-high and boil sugar mixture, stirring occasionally, until it turns a deep amber and measures 335° to 340° on a candy thermometer, 8 to 12 minutes. 3. Remove sugar mixture from heat and carefully stir in vanilla and cinnamon mixtures (they will bubble up). Immediately stir in pumpkin seeds and pour into prepared pan, using spatula or wooden spoon to evenly spread and fill pan. 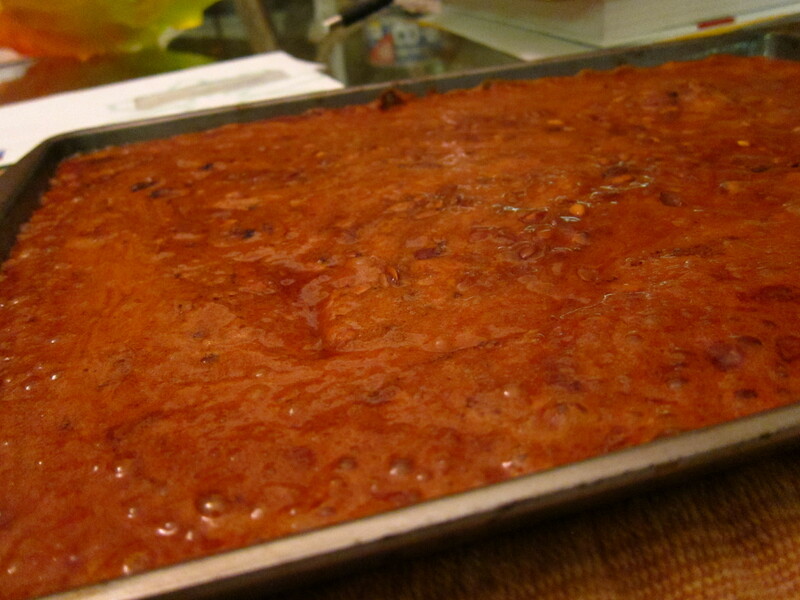 Let brittle cool at room temperature for 30 to 40 minutes. 4. Gently twist pan to release brittle (if necessary, run a heatproof spatula underneath brittle to help release it), then chop or break it into chunks. Store in an airtight container at room temperature for up to 2 weeks.